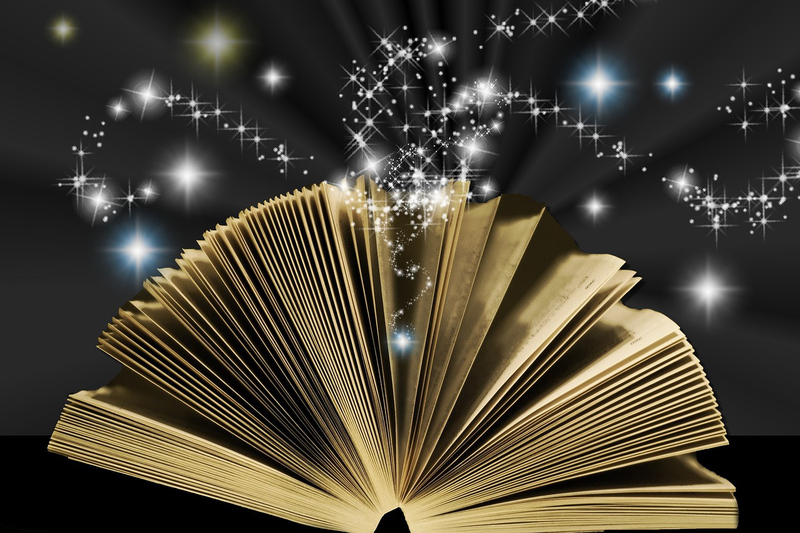 Over the years, it’s been my pleasure to promote other authors and share news about their work. 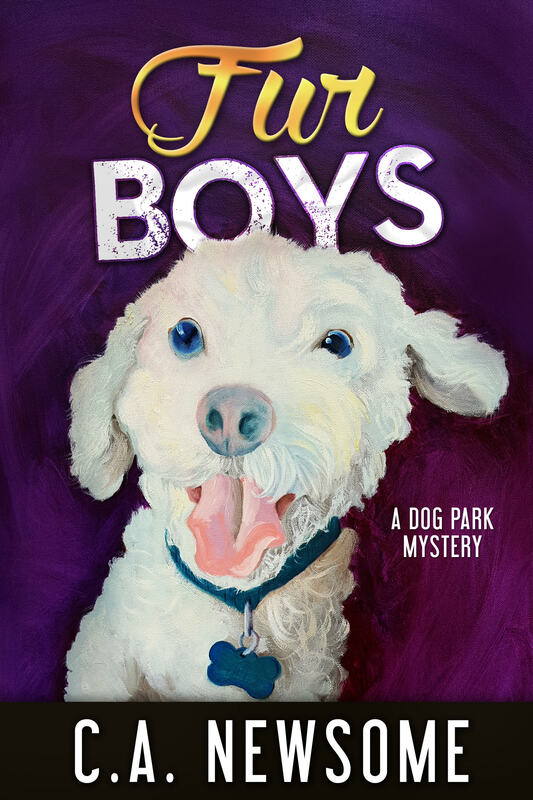 Today I’m delighted to join in the launch day celebration of Fur Boys, the sixth book in the Lia Anderson Dog Park Mysteries. In addition to enjoying this great series, I love the author’s bio blurb: C. A. Newsome is an author and painter living in Cincinnati with a former street urchin named Shadda and a one-eyed swamp monster named Gypsy. 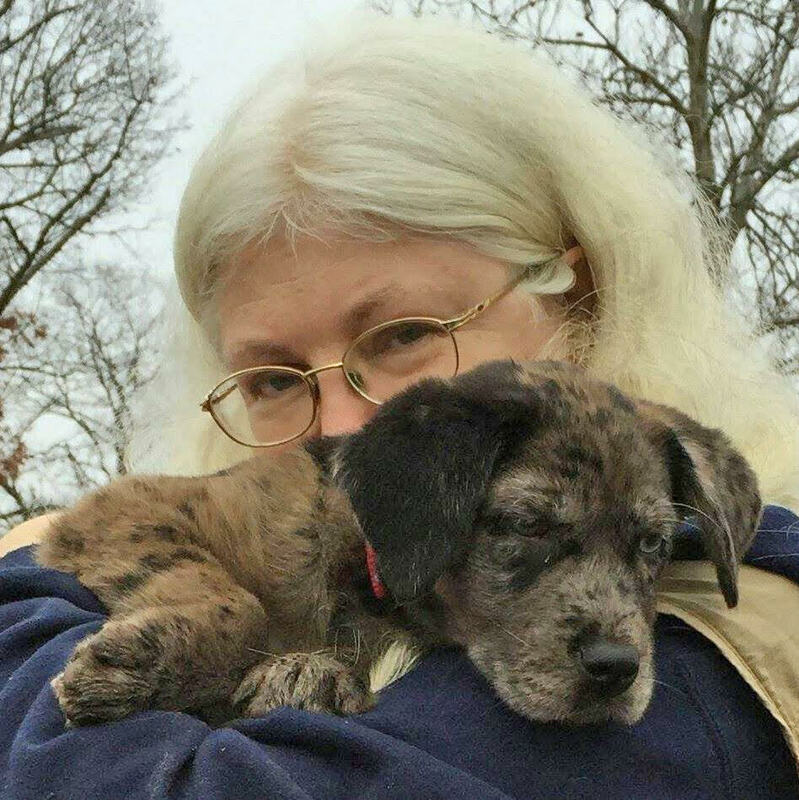 She and her furry children can be found most mornings at the Mount Airy Dog Park. Here’s a Q&A with the author, plus “buy” links at the end. Happy reading! What’s the premise behind the series? The series is based on my mornings at the Mount Airy Dog Park in Cincinnati, where people who would otherwise have little to do with each other bond over poop bags because they show up at the same time every day. My quirky gang of sleuths includes starving artist Lia Anderson, New Age woo-woo queen Bailey, gun-toting right-winger Terry, his uber-liberal roommate Steve, and Jim, a retired engineer. While Lia is in her thirties, her partners in crime are in their fifties and beyond. Lia has a love interest, hunky good guy, Detective Peter Dourson. What role do dogs play in your books? If you own dogs, you know that you have to consider them at every turn, just as you do children. They have distinct personalities and needs. My dogs are real dogs. You can’t just stuff them in the closet with the Dyson when it’s time to catch a killer. Dogs bring my characters together and often are intrinsic to plots. They sometimes assist with investigations. Not in a “Lassie the dog sleuth” way, but in a “my dog ate the evidence” way. Canine characters provide entertainment and moral support, and the dog/human relationships provide a counterpoint to the human/human relationships. Lia Anderson is my leading lady. She’s a struggling painter who takes on a wide variety of commissions to make ends meet. I wanted someone relatable, so she starts the series clueless about investigating crimes or handling violent confrontations and suffering from a serious case of denial. Lia’s background has made her distrustful of intimacy and family ties mean little to her. She’s had to rely on herself all her life and feels more secure with casual relationships while she loses herself in her art. The first Lia Anderson Mystery brings this issue into focus with the introduction of Peter Dourson, for whom home and family are core values. Lia has a rational approach to relationships that often mystifies Peter. The series follows Lia and Peter’s evolution as their relationship grows. Peter is a low-key, everyday hero who tries to do the right thing. When I created him, I asked myself, “What is the most amazing thing a guy can do?” For me, it’s listening to the needs of the woman in his life and being willing to meet her on her terms. What makes Peter extraordinary is his willingness to step away from his inbred and very traditional ideas about relationships in order to be with Lia. What’s exciting about Fur Boys? The murder of a music school diva results in high drama, played out on a big stage. We get to see much of the story through Peter’s eyes, and the types of observations he makes as a detective. It was great fun, working out how Peter would respond when he and Lia stumble onto a live crime scene. I also loved creating the suspects and all their entanglements. When starving artist Lia Anderson stumbles upon a dead diva, it’s no walk in the dog park. Meet Buddy, Dasher, and Rory, three adoring fur boys often in the care of Hannah, the ever-efficient admin at Hopewell Music Academy, site of Lia’s latest mural commission. Hannah can juggle anything the academy tosses at her, except the Machiavellian voice professor who owns the fur boys and whose demoralizing and career-crushing ways are the dark underbelly of the prestigious academy. When the professor is murdered, it’s impossible to find someone who doesn‘t want him dead. Good thing it’s not Peter’s case, not since the Cincinnati Police Department created a centralized unit to handle homicides. But a mysterious informant is determined to involve him. With Peter hamstrung by departmental politics, it’s time for Lia and the dog park gang step in. This entry was posted in Authors You Might Like, Books, Dogs!, Fiction, Writing and tagged Amateur Sleuths, C.A. Newsome, Lia Anderson Dog Park Mysteries, mystery fiction. Bookmark the permalink. Thanks for mentioning this book, Susan. Looks like good reading. I put it on my wish list. Just started reading her series–“A shot in the dark.” I’m on to book 2 soon!